All of the remarkable nominees were honoured at the award ceremony for the incredible contributions they have made to our community. “Vernon Women in Business takes great pride in ensuring that each nominee receives the praise and accolades they deserve,” said MacNeill. In addition to being honoured with the 2016 title, Juliette received an exquisite handcrafted pearl necklace set donated by Barrita Durward of Sweet Smiles Society, a two night stay at Prestige Ocean Front Resort in Sooke, BC, Vernon Women in Business membership, City of Vernon parking pass and a beautiful bouquet of flowers donated by Safeway. Each nominee received a basket full of donations by area businesses designed to pamper and indulge. Event platinum sponsors include Telus and By Inspired Design (responsible for the sparkling transformation of the ballroom). Anne McMeeking-Walsh proclaimed 2015 Woman of the Year! Anne has worked in early childhood education in Vernon since the early 1990s. She is a certified early childhood educator, Parent-Child Mother Goose facilitator and is trained in Kindermusik. She facilitates the Strong Start program at Okanagan Landing Elementary School, which promotes early literacy for children up to age 5 and helps prepare them for learning in a classroom setting. She also works at Ya Ya’s Play Centre and the Family Resource Centre Society for the North Okanagan. Anne is a true champion of families. She has created and facilitates a number of programs that provide an opportunity for parents and children to make new connections and engage in new activities and adventures. These programs include Parenting Isn’t Easy (a support program for parents with children under 6), Little Owl Family Circle (a venue for parents to discuss a variety of parenting topics, learn more about what the community offers and play with their child), Natural Connections (a free weekly nature walk in local parks, complete with songs, snacks and socializing) and Playful Art (a free art/craft drop-in group). Anne spent considerable time finding funding for all these projects, which are offered through the Family Resource Centre. Joanne Kineshanko proclaimed 2014 Woman of the Year! Joanne Kineshanko was proclaimed “2014 Woman of the Year”. In 2014, the award honoured Joanne Kineshanko for her contribution to the community. Kineshanko is president of Kineshanko Logging and a director of Canadian Women in Timber. She has also been on the Vernon Jubilee Hospital Foundation board for 17 years. Joanne was presented with the award at the Gala event held in May of 2014 at the Prestige Inn. Ruth Hoyte proclaimed 2013 Woman of the Year! Ruth Hoyte was proclaimed “2013 Woman of the Year” before 165 guests attending a Gala celebration Thursday evening, May 9th, at Vernon’s Prestige Hotel. Ruth Hoyte is a “Wonder Woman” whose seemingly boundless energy and dynamic devotion to family and community is applauded locally, regionally and provincially. A successful Oriental dance instructor and founder of “Desert Moon Dancers”, Ruth was recognized in 2013 by the Okanagan Arts Council. Her exceptional contributions were celebrated in both 2000 and 2004 as a Woman of the Year Nominee. 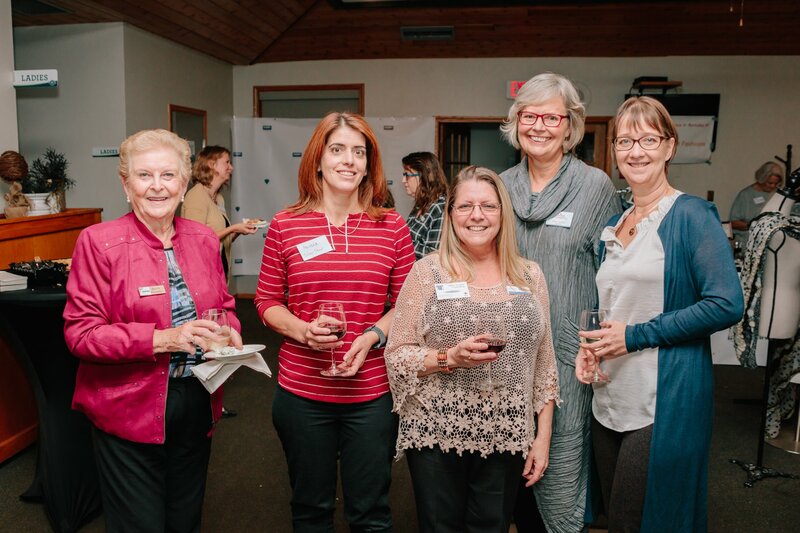 Ruth has volunteered her leadership skills as president for Vernon Women in Business, Greater Vernon Chamber of Commerce, Downtown Vernon Association, Vernon Dance Society, and North Okanagan Employment Enhancement Society. She has served as a director on Centreville Neighborhood Committee for Gateway Shelter, Queen Silver Star Excellence Program, Vernon Winter Carnival Society, and the Vernon Art Gallery Board. She is a strong advocate for economic development in the Vernon city core, serving on numerous municipal committees. Provincially, she serves on the Insurance Brokers Association of B.C. Ruth is a “bigger than life matriarch, business colleague, community advocate and patron of the arts. Her smile lights up a room, her passion swirls around us like one of her colourful belly dancing scarves,” says nominator Lorna Robb.